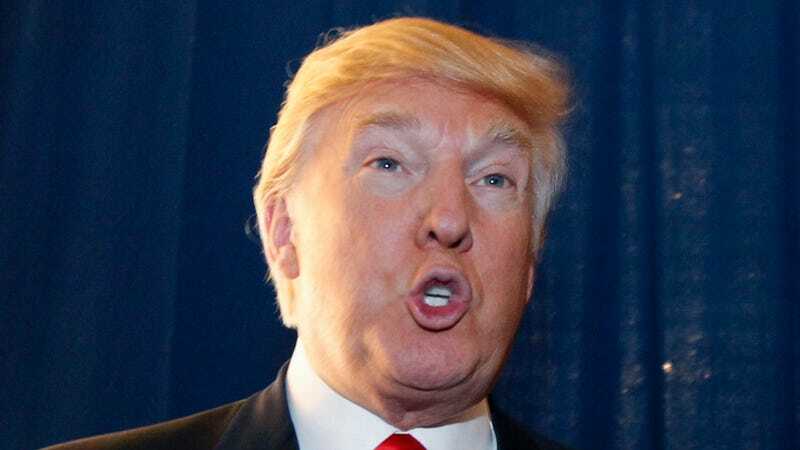 More than 400,000 people have signed an online petition demanding that Macy's fire human ocarina Donald Trump from their ad campaign and remove his merchandise from their stores. Signers object to Trump's obsession with the "racially charged birther conspiracy" and his frequent calls for overthrow of the democratically elected government. I guess they have a point—"terra cotta plutocratic genocidal warlord" doesn't exactly scream THE MAGIC OF CHRISTMAS. "Donald Trump does not reflect the 'magic of Macy's," reads the petition via SignOn.org, the progressive nonprofit online campaign arm of MoveOn.org. "We urge you to sever ties with him. Macy's says it has a strong obligation to be 'socially responsible' and that 'actions speak louder than words.' Indeed. It's time to act." ...Aside from his controversial birther views-which have long been discredited after Obama authorized his birth state of Hawaii to release his long-form birth certificate-the petition also notes Trump has "used his public platform to deny the reality of climate change." It also smacks him for sexist behavior and "personally attacking women he disagrees" with. Additionally, his detractors point out the reality star has "hypocritically complained about jobs being shipped overseas to China, despite the fact that almost his entire clothing line sold at Macy's is made in China." Asked by web show Globalgrind.com who would be a better Bond girl – Rihanna or Beyoncé – Daniel, who is playing the legendary spy for the third time, replied: "Rihanna, I think," before cheekily adding: "She's dirtier." 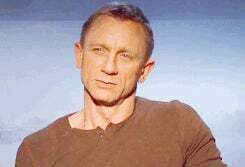 The 44-year-old actor, who was promoting the 23rd Bond movie, Skyfall, clearly delighted Rihanna as she tweeted: "Daniel Craig Says Rihanna Would Be An Ideal Bond Girl… this makes me happy."